"After our BF4 team won at ESLOne using them (Sound BlasterX P5), now Epsi.Smite have used Sound BlasterX technology to drive themselves to the win!" CLEARER, LOUDER, HARDER, BETTER. 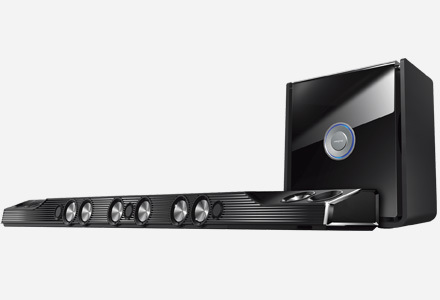 Get the best gaming audio anywhere. 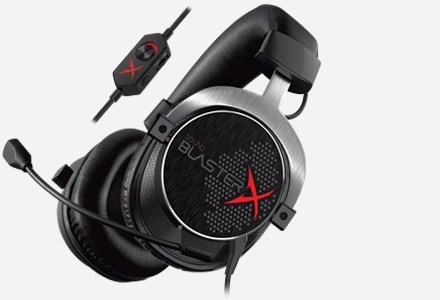 As a smaller and lighter headset that delivers detailed audio with far superior noise isolation, Sound BlasterX P5 is the perfect headphone for gamers who want to enjoy gaming not only at their desk, but also on the go. Built with premium materials, two professionally-tuned, high sensitivity 7mm FullSpectrum drivers deliver true soundstage with rapid response, rich cues and responsive bass; giving gamers a tactical advantage through the ability to perceive details, depth and location with pinpoint accuracy in real time. Weighing at only 12 grams, the Sound BlasterX P5 is a tiny marvel that fits 7mm Neodymium magnets which deliver amazingly high sensitivity 114dB audio with brilliant clarity. The drivers are also specially tuned to deliver a true soundstage with rapid response, giving gamers a tactical advantage through the ability to perceive details, depth and location accurately as they happen. The Sound BlasterX P5's drivers feature a thin coating of titanium - which has the highest strength-to-weight ratio of any metal. This means that while the diaphragm is stiff and strong enough to resonate clear, high-fidelity audio throughout the audio spectrum, yet it is light and precise enough to ensure ultra-fast response times and accurate sound reproduction. Sound BlasterX P5 features a port tube array that allows the headphone to punch above its weight when it comes to bass reproduction for headphones of this size. 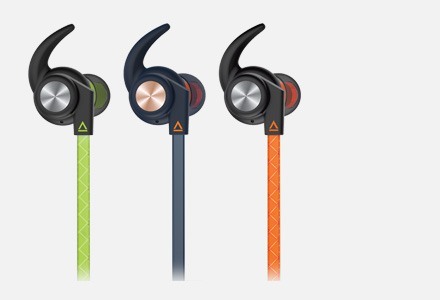 The array modifies the bass response properties of the earphone housing and increases low frequency response. A well-balanced audio signature promises an excellent soundstage for hours of gaming without listening fatigue, and swappable soft, spiral-ribbed ear tips that come in three sizes ensure a perfect fit for an improved isolation. The spiral-ribbed design is designed to work very much like an exoskeleton that keeps the ear tip pushed out snugly against the inside of the ear canal. What you get is comfort with the perfect seal that keeps great audio in, but the noise of the outside world out with up to 95% passive noise isolation. Traditional inline microphones do the job for phone calls, but often lack the clarity required for gaming communications. The inline, omni-directional electret condenser microphone on the Sound BlasterX P5 is designed to deliver the vocal quality of the full sized boom microphones used in gaming headset. Communicate clearly with your team mates - no more mis-comms. 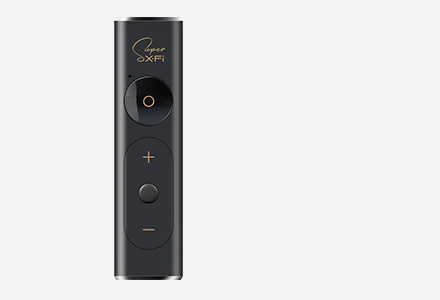 The microphone also features an easily accessible mute button, as well as play/pause button that offers control over your music and voice calls. 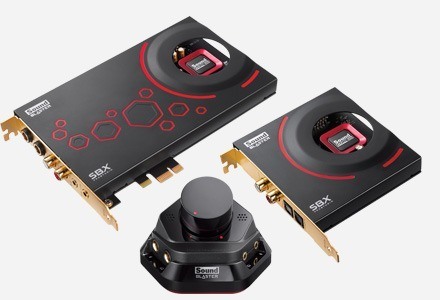 The Sound BlasterX P5 offers a wide range of connectivity options for a holistic gaming experience. The 3.5mm 4-pole jack cable can be used with any smart device such as your iPhone and iPad, as well as today's gaming consoles2 such as PlayStation®4. There's an included 4-pole to 3.5mm Stereo and Mic Splitter Cable (that fits the older 3-pole plug-in implementation) where one jack is used for microphone input, and the other for audio output. Although the in-ear headset sounds great on its own, we have tapped onto our rich history of creating class-leading audio algorithms to power up the sound of the Sound BlasterX P5 beyond the realm of physical limitations through audio enhancements optimized for your gameplay. 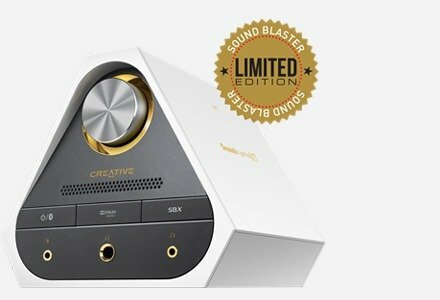 Available for Windows®, Sound BlasterX Acoustic Engine Lite1 offers preset audio profiles specially programmed according to the audio settings of popular games today. When activated, these profiles bring out the essence of the game you are playing. From the whizz of bullets flying past your ear in your favorite FPS game to the terrifying roar of a troll from an adventure game, these sounds come alive with our professionally tweaked enhancements! 2 Xbox One stereo headset adapter required. When that little sound pocket forms, outside sound is cut way down, and the P5 does its work. Those little drivers are amazing. Somehow, possibly through those fancy back ports, the P5 is able to produce nuanced bass and treble without crushing any of the detail. If you’re looking for a competitive, lightweight and stylish alternative to larger headsets, the SoundBlasterX P5 is certainly the way to go. One of the best headsets we’ve ever tested.The maximum volume is enough to give you a headache, but when dealing with quieter audio sources, you’ll be thankful they’ve got the power you need. When maxed out, the sound is distortion free and still sounds nicely balanced, while the bass offers up a lot of detail without drowning out the rest of the mix. The Sound BlasterX P5 is a good choice for gamers that are looking for a quality set of in-ear headphones without spending too much. While it’s quite possible to play with in-ear headphones that cost far less, you should be able to notice the difference in aural clarity, and that could well translate into better in-game performance. The noise cancellation is on point, and the responsive bass and rich audio are both delivered as promised on the packaging. Using this set in Dota 2, I'm able to hone in on different sounds and multitask well. The P5 helps me game while listening to music and talking to friends in Mumble simultaneously, something that a cheap set will not let you achieve. Fantastic headset, sounds are clear, mic works perfectly. Good balance of lows and highs, and thankfully a lot less emphasis on bass than my last headset. 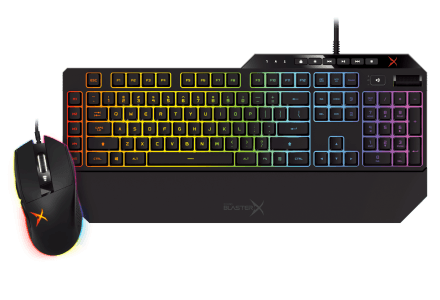 Good value for money, works great paired with my soundblaster Z sound card, and the software provided.